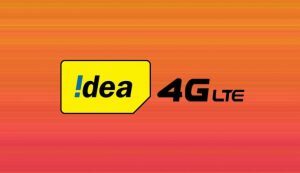 Idea 4G Internet Settings: Idea Sim is from Idea company and that company is ruling the Indian market. However, they cannot able to make a profit for their company because they are competing with Jio. The Internet is very important for every Indian network sim. So, I am here to give you Idea Internet settings so that it will be good for you to use the internet. If your Internet is not working then you can call Idea customer care number as well, as it can be the problem from their end. Its Name is pretty interesting. If you are living somewhere and only you get Idea towers then you must be using Idea for your smartphone. So it will be very important for you to use the internet only from Idea. That is the main reason I am here to give you Idea internet settings Number. What is the Idea Internet APN APN Settings? Now you have understood more about idea internet settings. It’s time to get your Idea Internet settings so that you can easily able to use the internet on your smartphone without any problem. It is very easy to get Idea Internet Settings. Now I will tell you how you can configure Idea settings according to your need. If you want. See it is very easy to configure or get Idea internet settings. If you are having any problem while making these Idea GPRS settings then you can comment below. hello Aadi, I understand your concern, this is happening because there is a network issue which keeps fluctuating. So it keeps changing. For Better Internet you can try to Port your Idea Number and get better operator whose network is solid in your area. I port my number from airtel to idea on 31.12.2018. However I am not happy with idea 4G.Hardly I get 4G connection.